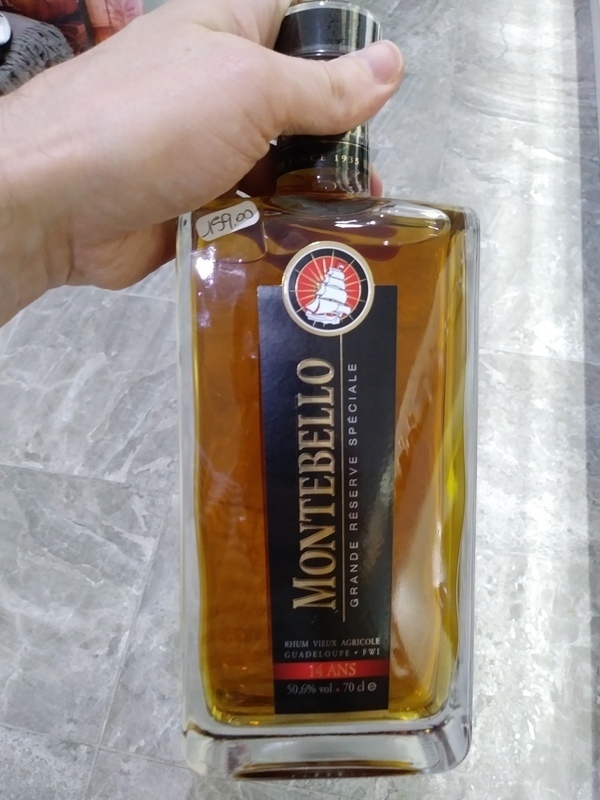 Have you found an online vendor selling Montebello Grande Reserve Speciale? Visited the Montebello Distillery while vacationing in Guadeloupe. Distillery tours were closed for the season, but very nice pour yourself tasting being offered at the distillery. Montebello Grande Reserve Speciale was priced at EUR 110 per bottle at the distillery but at EUR 159 at a local liquor store. Deep mahogany color. Pretty decent bottle and label design. Sweet Rhum Agricole flavors complemented with tropical fruits and oak to your nose and palate. Very mild burn at the end. Rhum Agricole lovers can easily add 2 points.